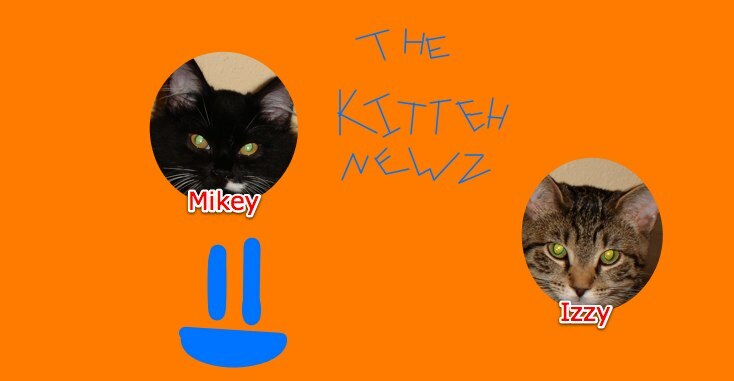 The Kitteh Newz: Oh No! Meowma And Grameow Are Sick! On Monday, Grameow got a fever. She was not feeling well at all. Grameow and Meowma went to the human vet, and I think they said what she probably had was called H1N1. I think it's also called Swine Flu or something like that. Then, on Thursday morning at around 3 a.m., Meowma got a fever too. Later that morning they went to the human vet again, and it seemed like Meowma probably had the same thing. Now they have to stay home, eat popsicles, drink lots and lots of water and juice, take lots of naps/rests, etc. Since they're sick, they're kinda on our schedule now - nap throughout the day, only leave the house to go to the doctor... Mikey and I have been trying to comfort them, and they said we are doing a good job. This post was forever ago but, eh. I had swine flu. Its not very nice is it.